When will be National Parks Top 10 next episode air date? Is National Parks Top 10 renewed or cancelled? Where to countdown National Parks Top 10 air dates? Is National Parks Top 10 worth watching? We explore the secret wonders at the mostpopular park destinations and uncover the best food, the best places to stay,the hidden hot spots, the one of a kind roadside attractions, and theheart-pounding activities that will turn a trip to the park into anunforgettable adventure. From outstanding barbecue on the way to DeathValley, to a remote island in the Keys only the locals know about, tobobsledding on the Olympic course in Lake Placid, "National Parks Top 10" is the countdown that uncovers the secret wondersof our national treasures, whether they be hidden in the center of urbanjungles or tucked away on the far edges of the American wilderness. From mystery sailing stones to exotic attractions that'll take your breath away. Sneak away to a zip line in a cave, sand board down desert dunes and ride a mule to a remote oasis. Ocean rafting on 12-foot waves; a 3,000 foot mega slide. Volcano surfing in Hawaii; a mission in Mars. 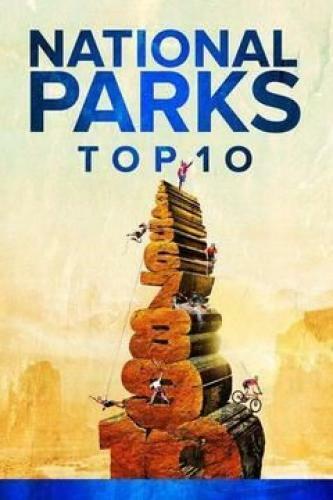 National Parks Top 10 next episode air date provides TVMaze for you. EpisoDate.com is your TV show guide to Countdown National Parks Top 10 Episode Air Dates and to stay in touch with National Parks Top 10 next episode Air Date and your others favorite TV Shows. Add the shows you like to a "Watchlist" and let the site take it from there.